A clock that doesn't just tell you the time — it makes you work for it. 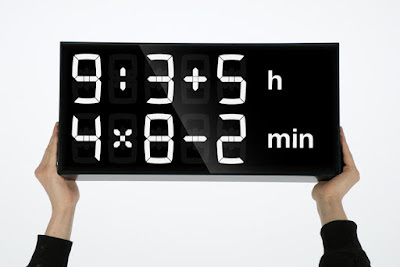 The idea is to make clock watching at school more productive, by giving you mathematical equations to calculate the actual time. Interesting idea, though I can see it being exasperating for the impatient. More here on Co. Design.